Whitegate Village is located in the West of Ireland in County Clare. 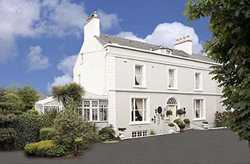 Situated in a busy fishing and boating region between Mountshannon and Portumna on the Clare-Galway border. It is a short distance from a number of lakeside facilities, among them a private harbour at Williamstown, where a hire-cruiser operation Shannon cabin cruisers is based. A public harbour is under construction. Sorry there is currently no listings for Whitegate.